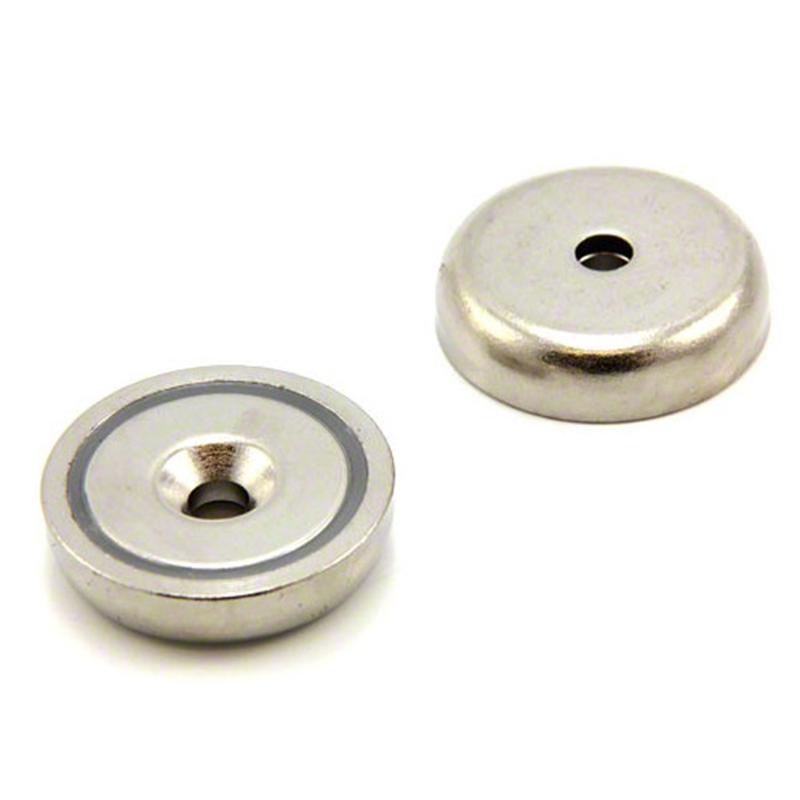 Request a quote for Rare Earth Neodymium Cup Magnets with Countersunk Holes today. JBF National neodymium cup magnets are made using strong rare earth neodymium magnets, and are housed in a nickel finished steel cup. This cup serves a dual purpose of both protecting the magnet from damage while maximizing the magnet’s overall grip strength. Also, the countersunk holes these magnets feature make affixing them in place as needed, no issue at all.